The 14 Most Powerful and Effective Words in Marketing. I have a question for you. Let’s say you’re walking down the halls of The Home Depot, Target, Barnes & Noble, or any other retail outlet and you grab something on impulse off the shelf. Or here’s another one. Let’s say you’re surfing the web and you notice an ad for a red pair of shoes (that just happen to be the exact pair of shows you were looking at online the other day, by the way). You click through on the ad and before you know it, you’ve bought the shoes. Here’s a final scenario — you’ve been told about a deadline to buy concert tickets, join a health club or even buy a car for 0% interest. The sheer power of the deadline or the false sense of scarcity gets your heart racing and mind spinning. Next thing you know, you’ve pulled out your wallet to buy the tickets, join the club or drive off in the new car. What powerful words are being used to get you to make those kinds of purchases? Well, I have some good news for you. Marketers actually know which words you’ll respond to — based on decades of research in the direct response industry. And I’m ready to share those words with you today. Below, you’ll find the 14 most powerful and effective words in marketing. 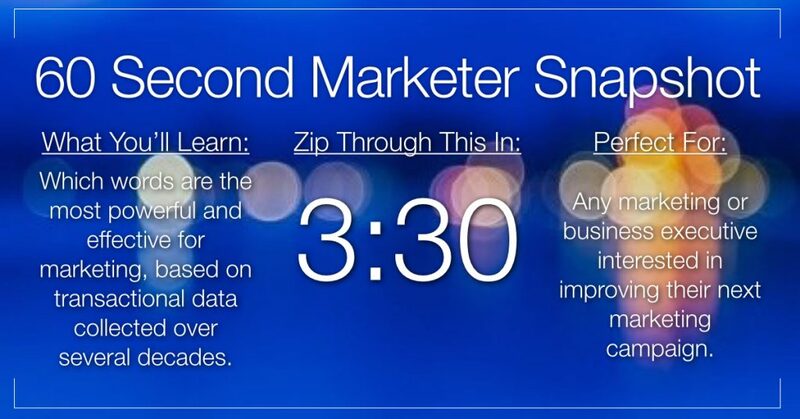 I first came across these in a book called 2,239 Tested Secrets for Direct Marketing Success (affiliate link). These are the 14 words that direct marketing agencies have known about for years. They’re based on decades of A/B split tests that have proven which words get people to buy stuff and which words don’t get people to buy stuff. After decades of testing, these words have proven to be the ones that are the most persuasive at encouraging people to choose Brand A over Brand B. In addition, these words tap into the 13 Most Important Emotional Triggers for Consumers, which is what we’ll be talking about in tomorrow’s post. How should you use these words in your marketing campaigns? 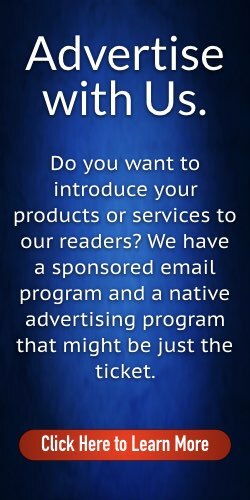 For starters, I’d encourage you to do an A/B split test with a paid search, direct mail or email marketing campaign. Use words like Free, New and Proven in one of your ads, and don’t use them in the other one. Then compare the results and you’ll see how much more revenue you generated from Version A vs. Version B. Will there be a huge difference? That depends on your product or service. But I can guarantee there will be a difference. I hope you’ll come back tomorrow where I’ll be writing about the 13 Most Important Emotional Triggers for Consumers. That’s going to be a fun post to write and to read. 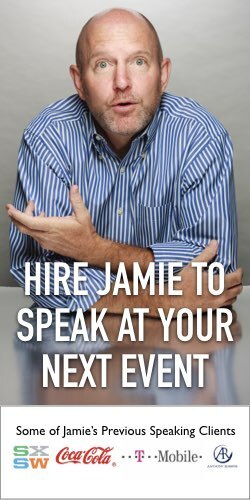 About the Author: Jamie Turner is an internationally-recognized speaker, author and business thought-leader. 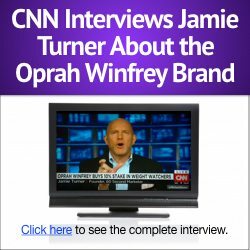 You’ll find him on the 60 Second Marketer and as an expert commentator on CNN. He is the founder of SIXTY, a marketing optimization firm that helps clients get more bang for their marketing buck.